I make homemade biscuits or scones at least once a week. There’s something calming about getting up early before everyone else and going in the kitchen and baking. I find working with the dough in the peace and quiet is so soothing. I make myself a coffee and work on breakfast and as I wait for the biscuits to bake, I work on my to-do list for the day. Of course, I have to change it up every now and then and make some fun biscuits my kids really enjoy. 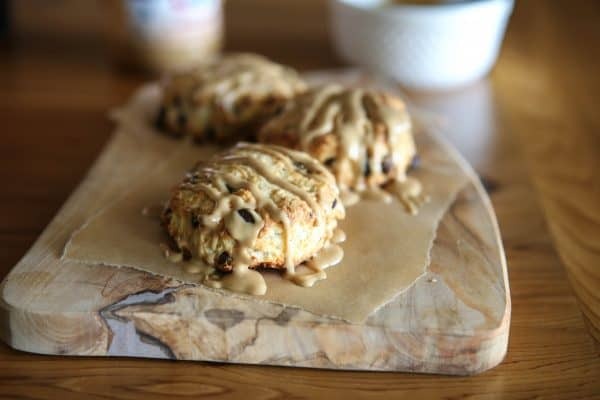 This morning I made these simple chocolate chip biscuits and then drizzled them with warm delicious peanut butter. For my biscuits this morning I used Jif Cinnamon Breakfast Spread. There’s also a Maple spread that works too. They’re both equally as delicious. Because breakfast is the most important meal of the day, it’s time to give peanut butter a permanent seat at the table. With NEW Jif Breakfast Spreads, you can turn simple breakfasts like biscuits into something a bit more healthy. 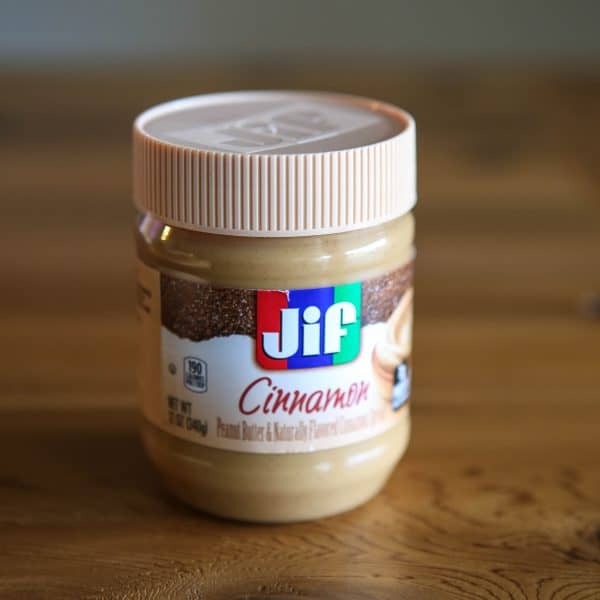 That’s because Jif Breakfast Spreads have 7g of protein per serving. These spreads are a tasty and satisfying addition to any morning routine, whether it’s simple toast or scrumptious buttermilk biscuits. You can also add this delicious peanut butter to oatmeal, smoothies or drizzle it over French toast. How about some crispy bacon drizzled with peanut butter? That’s what I call breakfast! Heat oven to 450°. Using a pastry knife or fork, cut butter into flour and sugar in a large bowl. Add buttermilk and chocolate chips. Mix just until dough starts to come together and turn on a work surface. Fold over just a few times until biscuit dough holds together. Cut out biscuits with biscuit cutter and place on cookie sheet. Bake at 450° for 8 - 10 minutes, or until golden brown. 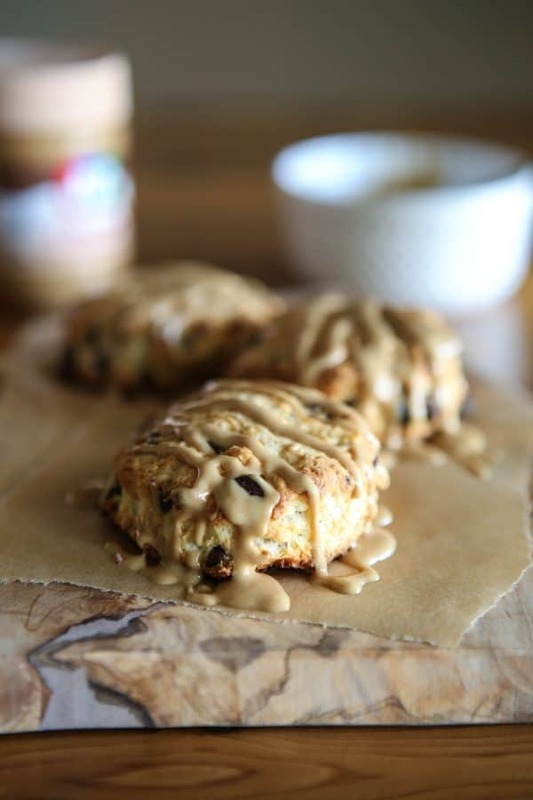 Drizzle with heated peanut butter before serving. I love the combination of peanut butter and chocolate, perfect! What a great idea for a weekend breakfast! Woww.. Peanut butter with chocolate chips, It look delicious. I am soon going to try it. Thanks for this marvellous recipe. These are looking like weekend breakfast possibilities. They look yummy. Great to send with kids to school. 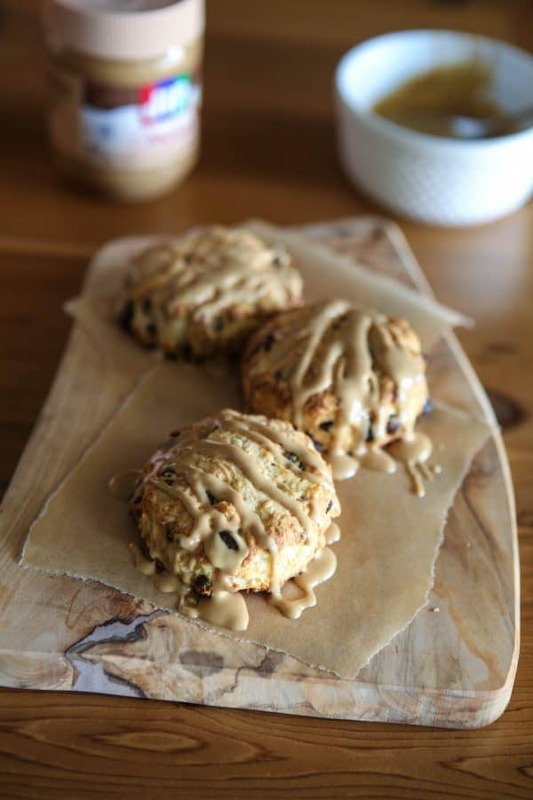 Delicious looking Peanut Butter and Chocolate Chip Biscuits!!! Thanks a lot for it’s introduction to the masses. I have jotted down all the recipe.Hopefully try sometime…Thanks once again ANGIE. I love this recipe. It looks so yummy. I will definitely try this for my family.